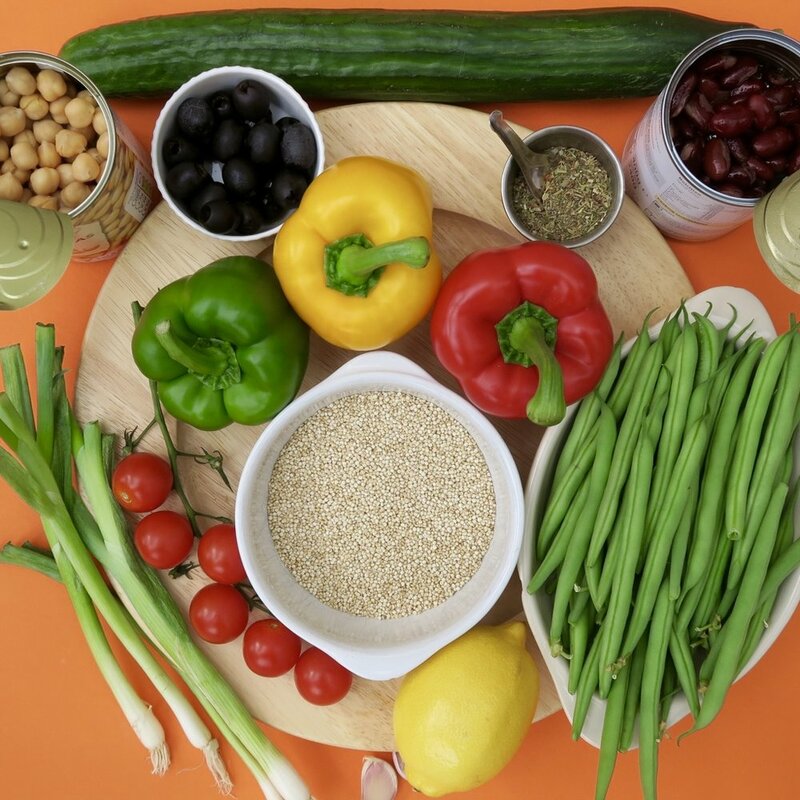 This multi-colourful protein-packed Mediterranean quinoa salad is full of fresh flavours and perfect served as a main, or side dish. So easy, so healthy and so delicious. In a medium saucepan, bring quinoa and stock to a boil. Cover, reduce heat to low, and simmer until for 15-20 minutes, until quinoa is tender and all the liquid is absorbed. Remove from heat and let stand for 5 minutes, covered. Remove lid and fluff with a fork. Transfer quinoa to a large bowl. Meanwhile, blanch the green beans. Bring a large pot of salted water to a boil. Add the green beans and cook until tender crisp, about 2 minutes. Drain the green beans and cool rinsed with cold water, leave to dry in a colander, then pat dry. 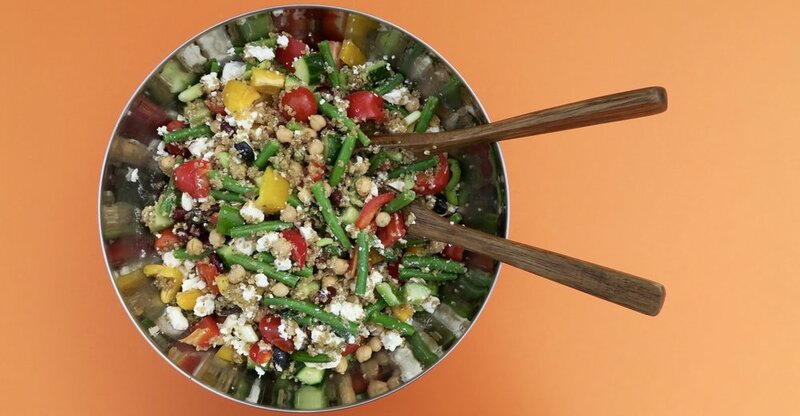 Add the green beans, chickpeas, peppers, cucumbers, tomatoes, spring onions, feta cheese, olives, and basil to the bowl with the quinoa. In a small bowl, whisk together the olive oil, balsamic vinegar, garlic, basil, Italian seasoning, salt, and pepper. Pour dressing over the salad and gently stir until salad is coated with dressing. Season with additional salt and pepper. Serve.